Whether you’ve spent hundreds of dollars on your bike or thousands of dollars, you want to make sure it remains secure whenever your backside is not sitting in the saddle. There is wide choice of good quality bike locks available out there, such as Kryptonite bike locks, that will keep your bike safe whether you’re leaving it outside the store for a few minutes, or stored at your home throughout the day. With the amount of money you can spend on a good bike these days, it’s important to have the right security to keep your pride and joy out of the hands of would be thieves. Kryptonite bike locks have a strong reputation for keeping your bike safe whenever you have to leave it behind in the street. 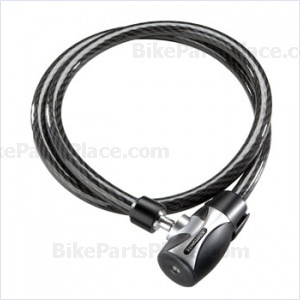 Kryptonite produces a wide range of bike security options including locks and cables. Among the Kryptonite security options is their renowned HardWire range. You are currently browsing the archives for the Bike Security category.